Summer travel season is almost here, and we’re all set to fly to Dubai on Emirates’ A380, in the new first-class private suite with the shower spa and the sky bar. Well, we can dream, anyway. In a competitive air travel market, airlines are innovating as fast as they can, offering new designs and amenities in response to market needs and passenger desires. Some of these innovations make flying more luxurious (to those who can afford it—a first-class ticket from New York to Dubai on Emirates costs nearly $30,000). Others are intended to save on fuel costs or cram more passengers into the already cattle pen-like fuselage. Here are seven of the most interesting, amazing and downright scary recent airline innovations, for your summer travel pleasure. Do you find economy seats too comfortable? Eschew empty spots on the subway in favor of strap-hanging? Well we’ve got an innovation for you! 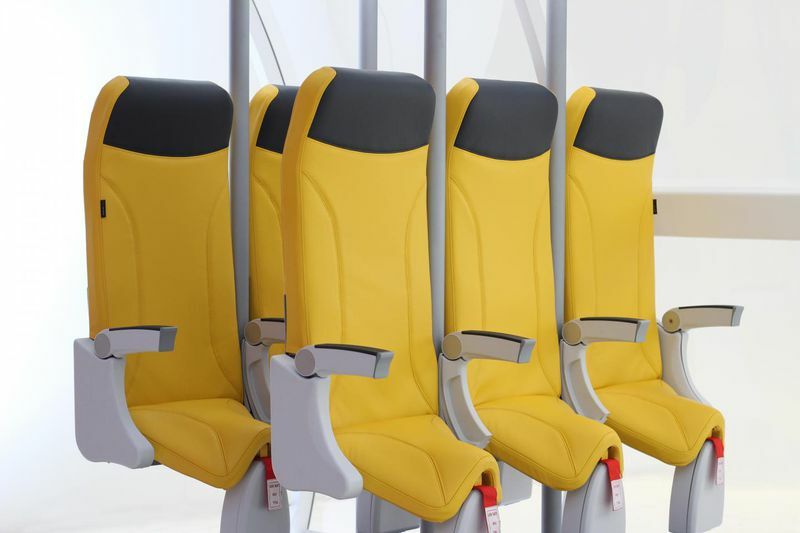 Airlines have been kicking around the idea of standing seats for a while now, and this year at the Aircraft Interiors Expo in Germany, Italian company Aviointeriors unveiled a prototype of such a design. The Sky Rider 2.0 seats are “saddle seats,” allowing people to lean a bit of their weight on the seat while still basically, well, standing. Previous standing seat designs have been nixed by regulators, so it remains to be seen whether the Sky Rider ever takes off (sorry).